Hello friends. It’s been so long. I am not posting as often as I would like. Our internet has been having issues – really I think it’s just due to living in a small town in the mountains – and it is just too painful to have to wait for things to load. Morning aren’t too bad… late afternoons and evenings it crawls. It seems to be working well today though so I am taking advantage of it. I won a $50 gift certificate from Hawthorne Threads from my friend Michelle at Factotum of Arts. 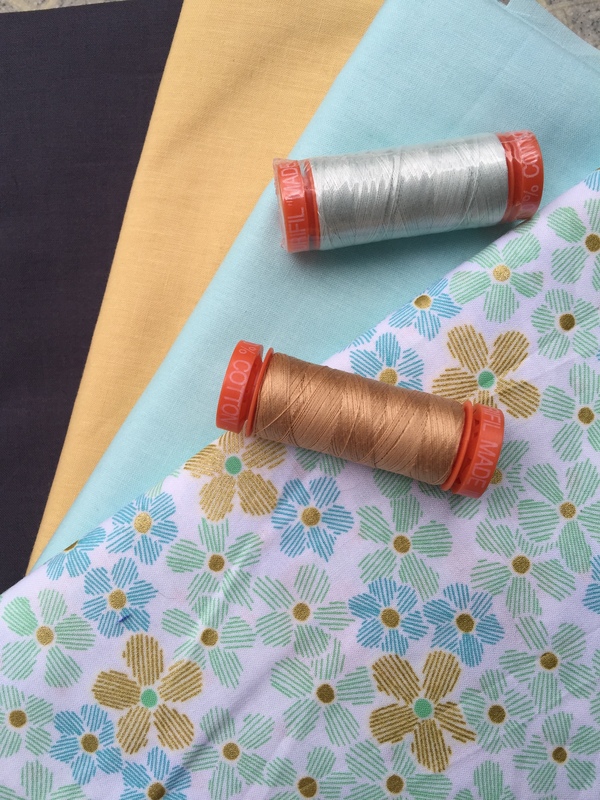 With that I was able to buy these Michael Miller coordinates and matching Aurifil threads. I picked this flowery print because it matched the honey and mint solids I picked for the front. But, it has gold metallic accents, instead of silver. Hmm… I’m going to have to think about this. 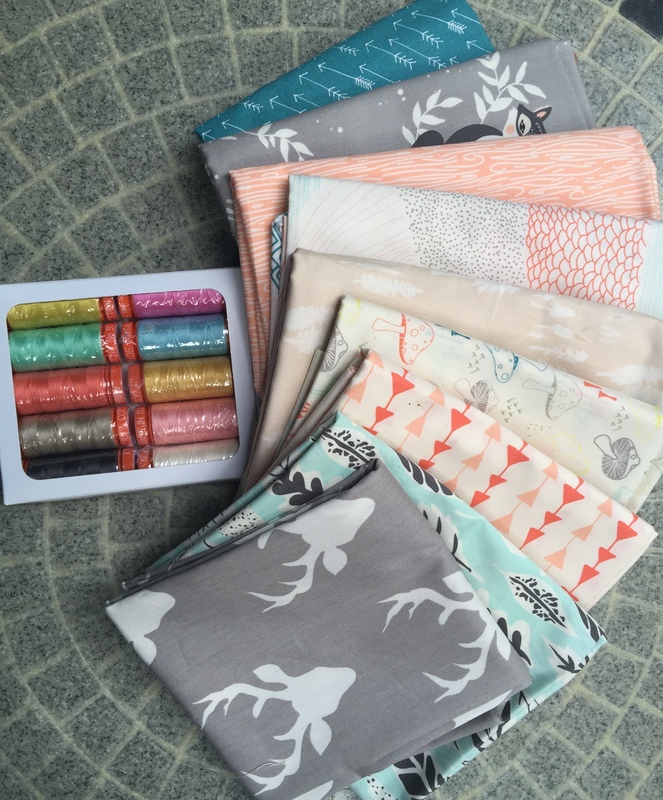 Then I won this fat quarter pack from The SewCanShe Sewcialites on Facebook. 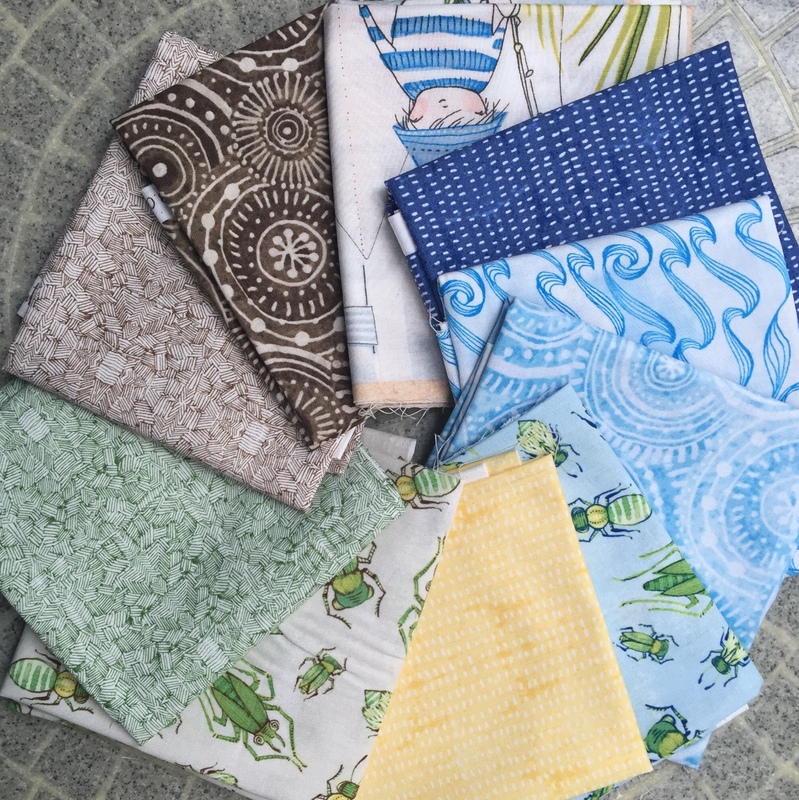 These prints are from The Adventures line by Cori Dantini for Blend fabrics. Aren’t they adorable? They will make a great boy quilt. And lastly, remember Ethel, the elephant I made that won 2nd place in an Art Gallery Fabrics challenge. Well, this is the half-yard bundle and set of Aurifil thread I won from that. This fabric is the Hello Bear line from Bonnie Christine. Another great line for a boy quilt. The Lord has truly blessed me with free fabric lately, so I need to find some time to make some quilts to bless others. I don’t think I’ll get to it this month, but maybe in December. Hahaha… who am I kidding? It will probably be after Christmas. Of course, I’ll share them with you when I get around to it. 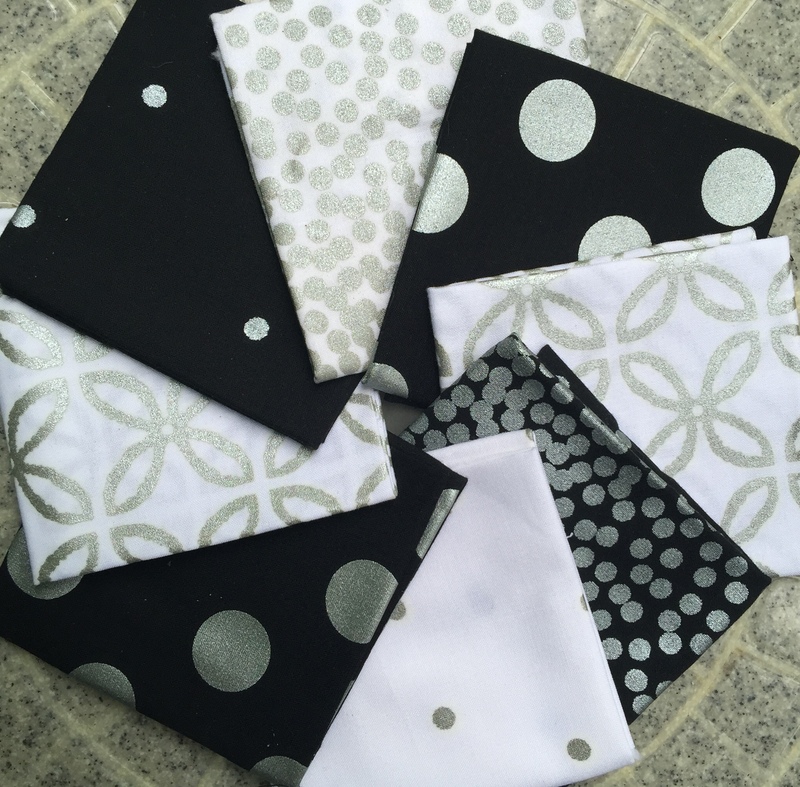 This entry was posted in Uncategorized and tagged agf, art gallery, Bonnie Christine, Cori Dantini, free fabric, glitz, Hello Bear, Michael Miller, ScrappyGirlsClub, Sunday stash, The Adventures by monkeyneedle. Bookmark the permalink.